Ayman Mohammed Alsayari has been the deputy governor of investments of the Saudi Arabian Monetary Authority (SAMA) since 2013. During his tenure at SAMA, he has played a key role in formulating the Sovereign Debt Strategy for the Kingdom. He has overseen local SAR sovereign debt on behalf of the Ministry of Finance and played an active role in the 2016’s successful international bond issuance, which yielded $17.5 billion and securing an international syndicated loan of $10 billion. He is also responsible for leading the Saudi Sovereign credit rating team. Mr. Ayman holds an MBA in finance from George Washington University, a B.S. in accounting from King Fahd University of Petroleum and Minerals, and completed the General Management Program at Harvard Business School. Prince Mishaal is the executive chairman of ZAD Investment Company. ZAD is a privately controlled investment company operated as the investment vehicle for the family of HH Dr. Prince Mishaal A. T. Al-Saud. After completing his high school education in Jeddah, he furthered his academic pursuit in the United States. Prince Mishaal holds a master’s degree in international studies and global strategies from the University of Southern California and a bachelor’s degree in business administration from the University of Santa Clara. His special interest on the ever-changing business environment, its dynamic impact, and effect of public policy stimulus by governments led him to Claremont Graduate School wherein 1982 he was awarded a Ph.D. in Government. Babar Khan has been the head of investments at General Pension and Social Security Authority since 2015. Previously, he was a portfolio manager of principal investments and private equity at Abu Dhabi Investment (ADIA). Prior to that, he covered portfolio management at Letko Brosseau & Associates. Khan holds an MBA in finance from McGill University and a M.S. in engineering from the University of Strathclyde. Farouk Bastaki serves as the managing director, group chief executive officer, and member on the board of directors at the Kuwait Investment Authority (KIA). He has held numerous positions at the KIA, with the most recent being the executive director of alternative investments, where he was responsible for all private equities, real estate, infrastructure, hedge funds and other non-public investment on a global basis. Mr. Bastaki holds a degree in industrial engineering from the University of Miami. Yousef Saad Al-Saad is the chief executive officer and director at Al-Ahleia Insurance Co. He is also on the Board of Directors at Al-Ahleia Insurance Co. The Al Ahleia Insurance Co SAKP is a Kuwait-based company engaged in the provision of insurance and reinsurance products and services. The company is organized into two business segments; the General risk insurance segment, which includes marine and aviation, accident and fire, and the life and health insurance segment, which includes life insurance, school education insurance and medical insurance. 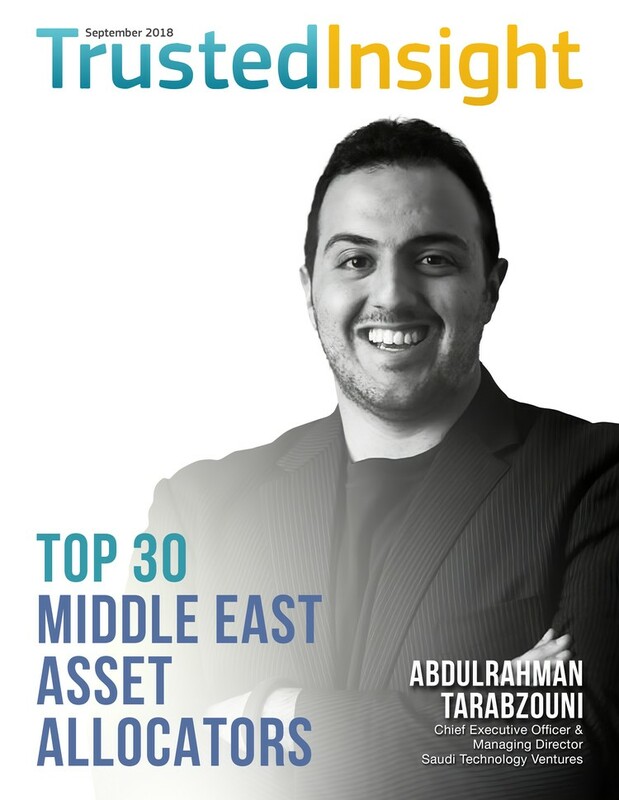 Yousef oversees both company operations as well as investment related decisions. Abdulrahman Tarabzouni is the chief executive officer and managing director at Saudi Technology Ventures (STV), a technology VC fund anchored by Saudi Telecom. Saudi Telecom is the Middle East's largest telecommunications company. Previously, he held leadership roles at Google, including the Global Head of New Business and Partnerships for Android and prior to that founded the company's operations in emerging markets in the Middle East. He is a board director for some of the largest and fastest growing companies in the region. Abdulrahman holds a master's of engineering degree and a B.S. in electrical engineering and computer science from the Massachusetts Institute of Technology (MIT). Rashed Al Rashed & Sons Co.
Yasir Al-Rumayyan serves as the managing director and chief executive officer at Saudi Arabia's Public Investment Fund (PIF). The PIF was originally established in 1971 to facilitate the development of the Saudi Arabian national economy. He also serves as a Board Member of Uber Technologies. Previously, he served as CEO of Saudi Fransi Capital. Prior to that, he served as the director of corporate finance at Capital Market Authority. Al-Rumayyan holds GMP from Harvard Business School. Mohamed Al-Mehairi has been the chief executive officer of Aabar Investments PJS since 2015. Earlier on in his career, Al-Mehairi served as a director of investment department at International Petroleum Investment Company (IPIC) and as a manager of the evaluation and execution division at IPIC. There, he oversaw and spearheaded a platform of investments and development projects within the oil and gas sector as well as a number of diversified investments. Faiz Mayalakkara is director of investments at Emirates Investment Authority, where he is responsible for co-investments, private equity, secondaries and other private market assets. He was an investment manager at the Authority for nearly four years before assuming his current role in 2014. Prior to that, Mayalakkara held various private equity positions at Istithmar World Capital and Ernst & Young. He holds a BBA in economics from the University of Madras and an FCA in corporate finance from the Institute of Chartered Accountants of India. Abdullah Al-Sabah serves as the deputy director general for investments at Public Institute for Social Security-Kuwait. He has been with the Public Institute for Social Security-Kuwait for nearly 21 years and was previously the head of portfolio management there. Prior to that, he was the vice president at Wafra Partners LLC covering capital markets and private equity. Al-Sabah holds an MBA in finance from Columbia Business School and a B.A. in economics and international diplomacy from Brown University. Anil Dixit has been the chief investment officer at Abu Dhabi National Insurance Company since 2012. Previously, he was the CIO and head of reporting at Allianz SNA, one of the market leaders in the Lebanese insurance market. Prior to that, he was a portfolio manager for Allianz Global Investors. Dixit holds an MBA in finance from the University of Manchester-Business School and a B.S. in chemistry from the Savitribai Phule Pune University. Ali Tay Jandal is the head of private equity investments at Oman International Development and Investment Company (Ominvest), one of the oldest, highly successful and largest investment firms in the region. Jandal received an undergraduate degree from the University of Cambridge and an undergraduate degree from The University of Liverpool. Salah Al Rashed serves as an executive at the Rashed Abdul Rahamn Al Rashed and Sons Family Office based in Al-khobar, Saudi Arabia. The firm provides financial advisory and asset management services to the AlRashed family and acts as an investment division of Rashed Abdul Rahman AlRashed & Sons Group which operates in five business sectors, namely trading, manufacturing, construction, services and consumer products. Al-Rashed holds a bachelor of civil engineering from the University of Washington. He is also Chairman of the Board of Directors at Technical Investments Company and Arabian Industries Company and he serves as vice-chairman of the Board of Directors of Saudi White Cement Company. Abdallah Al Saadan is the senior vice president of finance, strategy and development at Saudi Aramco. He has over 30-years of Saudi Aramco experience. During the fi rst 10-y ears, he worked as a process engineer for various technical and operational organizations. Previously, he served as the president and CEO of SAMREF, one of the most successful refineries in the Middle East. Mr. Abdallah earned a bachelor’s degree in chemical engineering from King Fahd University of Petroleum and Minerals and an M.S. degree in chemical engineering from the University of Louisiana at Lafayette. He holds an MBA degree from MIT’s Sloan School of Management. He is also a graduate of the Saudi Aramco Specialist Development Program in the area of Crude Oil Production & Processing. Mohammed Al-Radwan is the chief executive officer and managing director of Ali Al-Radwan & Sons General Trading, where he is responsible for evaluating investment opportunities for their diversified portfolio of companies operating throughout Kuwait, Europe and North America. He focuses on a variety of different areas such as private equity, real estate, energy, and oil and gas. Previously, he co-founded United International Petroleum. Mr. Mohammed holds a bachelor’s degree in finance from Seattle University and studied at the College of Petroleum and Energy Studies at Oxford. Yousef Ibrahim Albassam serves as the vice chairman and managing director of The Saudi Fund for Development. He is also the chairman of The Arab Investment Company S.A.A. and as a member of the board of governors of African Development Bank. He holds a B.S. in civil engineering from the King Saudi University, as well as a master’s degree from the University of Michigan. Junaid Sukhera is the manager of investments at Al Nahda Investments. Junaid is responsible for managing the private equity deal pipeline as well as overseeing the existing private equity portfolio. He has over 8 years of experience in private equity and investment banking in Asian and Middle Eastern markets. Prior to Al Nahda Investment, he served as private equity investment analyst at Abu Dhabi Capital Group and as an investment analyst in investment banking at Bank Alfalah Limited. He hold a master's degree in finance from John Hopkins University. Abdullah Al-Houli is the head of private equity at Noor Financial Investment Company (NOOR), an investment office offering a full spectrum of innovative and unrivalled investment and financial services which include both advisory and asset management. Noor is engaged in investment activities and financial services primarily in Kuwait, the Middle East, Asia, and other emerging markets. Mohammad Al Duaij is the chief executive officer of Alea Global Group, a family business who expertly invests its own capital in direct national and international private equity. He earned his experience from transacting with diversified projects and dealing with distinguished parties globally. He recently won the ‘Man of the Year’ Award from the Business Worldwide Publication. The title was awarded due to the success of Mohammad’s global mediation work, bringing countries together through business. Mr. Mohammad graduated from Leeds University Business School in 2002 with an accounting and finance joint honors degree. Isam Bin Saud Al Zadjali has been the chief executive officer at Oman Oil Company S.A.O.C. since August 2014. Previously, he served as president and general manager of Occidental of Oman, Inc. He has over two decades of experience in the oil and gas sector, having served as senior vice president of business development for the Middle East and North Africa (MENA) region at Occidental and as president of Occidental Oman. Khaldoon Khalifa Al Mubarak serves as the chief executive officer, investment committee member and managing director at Mubadala Development Company. He is also the chairman at Aldar Properties and the chairman of the Abu Dhabi Executive Affairs Authority, which provides strategic policy advice to the Chairman of the Abu Dhabi Executive Council. He is also the chairman of the Emirates Nuclear Energy Corporation, Abu Dhabi Motorsports Management, the Abu Dhabi Media Zone Authority and Emirates Aluminium (EMAL). Mr. Al Mubarak holds a degree in economics and finance from Tufts University in Boston. 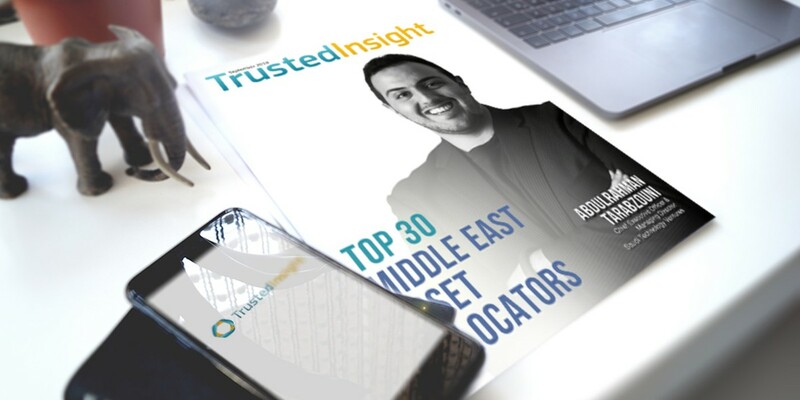 Benjamin Stone is the chief investment officer at the A1 Group and an advisor to a Royal Family Member’s family office based in Abu Dhabi, where he actively invests in private equity deals, venture funds, fund of funds, and hedge funds. The family is particularly interested in oil and gas, real estate, heavy and light industrial, manufacturing, healthcare, education, defense, and consumer services. He started his investment career over 15 years ago when he spent nine years as an analyst at Schroders. He left Schroders in 2005 and joined MFS where he currently runs the MFS Meridian European and Global Value funds. Stone is a graduate of Durham University. Ghassan Al-Hashar is the investment director at the Public Authority for Social Insurance, one of the largest pension funds in Oman. The Public Authority for Social Insurance invests in a wide spectrum of assets, including real estate, private equity, listed equities and fixed income. He has worked at the Public Authority for Social Insurance for over 20 years. Ghassan Al-Hashar holds a master of science in investment management from the University of Aberdeen. Shabib Al Darmaki is a director general at the Civil Service Employees Pension Fund in Oman. He has held directorship positions of key institutions that benefit from his vast knowledge and experience in finance, audit and pension fund management. These institutions range from Shell Oman Marketing, Oman National Investment and Development, National Investment Funds Company, Oman Housing Bank and Al Batinah Hotels, where he utilizes an intrinsic understanding of business strategies that align financial goals in an islamic setting. He provides insight and guidance to the Board of Directors of Alizz Islamic Bank, thus strengthening the bank's leadership and governance. Shabib holds a master of science in accounting from Oklahoma City University, as well as a bachelor of science in business from Helwan University, Cairo, Egypt. Ramy Jallad is the group chief executive officer at RAK Investment Authority (RAKIA), a sovereign wealth fund based in Ras Al Khaimah, United Arab Emirates. RAKIA is a part of a larger group, Ras Al Khaimah Economic Zone. Previously, he was a general manager at UAE Real Estate & Development Project, where he led all real estate development, project management and the strategic growth of the real estate portfolio. Prior to that, he was vice president of property and free zones at Abu Dhabi Airports, the largest airports operator in the UAE. Jallad holds a bachelor of science in mechanical engineering from Western Michigan University. Vivek Varadan holds the position of investment principal at Oman Investment Fund. He is also the deputy chairman at Majan Glass. He is actively engaged in industries related to food, pharma and logistics. He is the board member of different organizations including National Pharmaceutical Industries Co. SAOG., Oman aquaculture development company, A’Namaa Poultry, and Mazoon Dairy Company. Mr. Vivek holds an MBA from the Asian Institute of Management and has a bachelor’s degree in commerce from Loyola College.